Nothing changes the appearance and efficiency of a house more quickly than in investment in replacement windows. Not only does an update in style improve the curb appeal of any home, but more modern, energy-efficient windows can save the homeowners a considerable amount of money on heating and cooling bills. 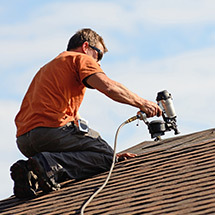 When people wish to update the look of their home, many consider a painting the house and perhaps new roofing shingles to get the job done. However, old window designs with deteriorating wooden frames can be one of the most noticeable detriments to an otherwise attractive façade. Modern window replacement experts can help you choose an appropriate look for your home, such as bay or casement windows. With so many styles and colors to choose from, any taste can be satisfied. Even more than appearances, people consider energy efficiency, UV protection, and even noise reduction when they think of installing replacement windows. Older single pane windows allow internal heating and cooling to leak out, thus increasing your energy bills, as well as letting the outside temperature in. They also do not include UV filters, so any sun coming through can harm your furniture and decor over time. Window replacement not only saves you money, but is also more environmentally friendly and protective of your possessions. Window replacement remains one of the best choices a homeowner can make for the overall efficiency and appearance of their house. With all the different options of look, features, and installation possibilities, an affordable solution can be found by all. We at Kramer Construction are dedicated to helping you explore all the possibilities in window replacement. We can help you achieve the look you want and save you a lot of money in the long run on your home energy bills. Understanding the importance of choosing the right windows is key to window replacement. 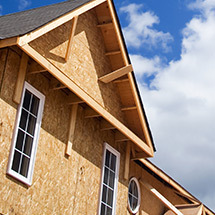 While some window contractors will simply push their highest margin products on you, at Kramer Construction, we take pride in giving our customers a consultative sales experience. In other words, we help you to decide what product best fits your home’s unique needs. Once upon a time, it was essential to opt for authentic-looking wooden windows. For Charlestonians with style, vinyl windows didn’t quite measure up. Though aesthetically pleasing, these high maintenance wooden mechanisms weren’t very practical for the coastal region and salt air made it necessary for homeowners to pay constant attention to their upkeep. With the advancement in technology helping to create windows that are as easy to care for as they are lovely to look at, South Carolina homeowners began to take another look. Vinyl windows can reduce your home’s power bills, are virtually maintenance-free, and outlast wooden windows by decades. Difficulty Opening And Closing – If you find you need to force your windows, even slightly, while opening or closing them, it’s time for replacement. Window wear and tear begins to show after around 15 years, but anytime your window gives you problems in operation, there’s no turning back. As your parts give out, it will become increasingly difficult and expensive to repair them. Moisture On Your Sill – High humidity, rainfall, and gale force winds are not uncommon in the Mt. Pleasant and Charleston areas, and can take a serious toll on your windows’ ability to seal. Anytime you notice air, noise, or moisture penetration of your window, you will need to replace it. 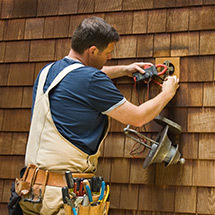 Not only are you losing valuable energy, you’re risking wood rot inside your walls. Sun-Damaged Carpet, Furniture, and Drapes – Older windows don’t carry the strict UV protection necessary to prevent the sun from bleaching out your home’s interior. In addition to damaging rays, your sub-par UV protection is also letting in heat and driving up the cost of keeping your home cool. An investment in window replacement will pay for itself in energy savings, not to mention saving your carpet, drapes, and furnishings. 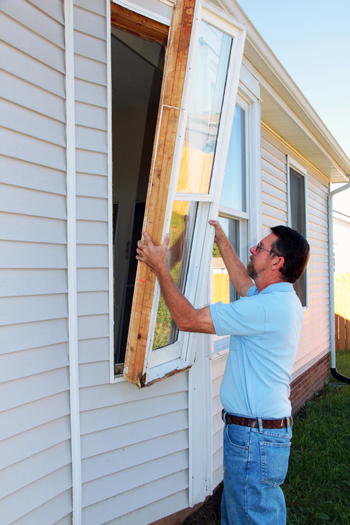 Replacing your windows is no small undertaking. At Kramer Construction, we understand your concerns and we’ll assist you in choosing the very best windows for your home. 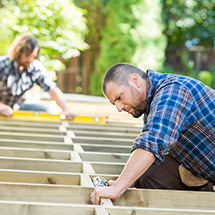 Kramer Construction has been serving the South Carolina Low Country area for over two decades, and we know windows inside and out.